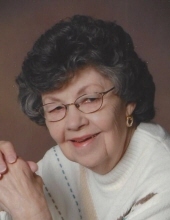 Carma L. Campbell, 77, of Pekin passed away Sunday, September 23, 2018 at Hallmark House in Pekin. She was born March 18, 1941 in Pekin to Ray Sloter and Louise Bodie. She was later adopted by Louis Pangerl. She married Ronald Campbell; he preceded her in death in May 1985. Her parents also preceded her in death. She is survived by her brothers, Joseph (Tanya) Sloter, Danny (Janice) Sloter; sister-in-law, Lynn Sloter; nieces, Stephanie (Bradd) Mennenga, Nicole Sloter, Julie (Trevor) Bierschbach, Jennifer Morrow; nephew, Ronald (Emily Ward) Sloter; great-niece, Rachael Mennenga and great-nephews, Michael Mennenga, Alex Mennenga, Andrew Mennenga and Gavin Bierschbach. Carma graduated from Pekin Community High School and worked for MGP Grain Products; retiring in 2008. She was a member of St. Joseph Catholic Church in Pekin where she assisted counting collections, was a Eucharistic Minister and sponsor for RCIA candidates. She enjoyed going to the children’s sport activities and working at the church bizarre. She also enjoyed Bunco, playing cards and going to lunch with her friends. She loved her family and she will be greatly missed. A funeral mass will be held at St. Joseph Catholic Church in Pekin on Thursday, September 27, 2018 at 11 a.m. with visitation one-hour prior at the church. Father Timothy Hepner will officiate. Cremation will be accorded following the mass and burial will be at Meadow Lawn Cemetery in Manito at a later date. In lieu of flowers memorials may be made to St. Joseph Catholic Church in Pekin in her name. To send flowers or a remembrance gift to the family of Carma Campbell, please visit our Tribute Store. "Email Address" would like to share the life celebration of Carma Campbell. Click on the "link" to go to share a favorite memory or leave a condolence message for the family.